Whether you are an accomplished photographer or just someone who wants to sharpen your photography skills, here are some interesting ideas. Today, anyone can take a snapshot of a flower, but a photographer’s eye is finely sensitive and tuned and literally fascinated with the details, lighting and results in an image that enhances the beauty or highlights a particularly unique aspect of the flower or its surroundings. Whether you are an accomplished photographer or just someone who wants to sharpen your visual skills, here are some interesting ideas. Even seasoned professional can benefit from taking an afternoon off from regular work and exploring the world around them with a fresh and renewed perspective. It can be an invigorating photographic experience. Take every opportunity to visit a formal photography exhibition, as they are the perfect inspiration for any budding photographer. The visual interpretations and techniques in the photographs displayed will represent valuable lessons for your own work. The examples of lighting, proximity flash, position of the subject and even the lenses used may be just what you need to improve your own photographic skills and take your work to a whole new level. Anything done in a group is bound to be good; similarly, those interested in photography can join a local photo walk group and go on short photo expeditions. They often bound to choose a specific urban area and walk around taking shots of anything they find interesting. In the process, photographic thoughts and ideas are exchanged, and you will learn more about your camera or how a certain object will look better when shot from a different angle, and so on. You will find lots of photographic workshops and attending a weekend workshop on photography is one of the best ways to learn more about photography and capturing unique images. Besides, interacting with professionals and savvy veterans is a good opportunity to obtain tips, experiment and improve skills. With photography, it is more learning on the job training, rather than book learning. 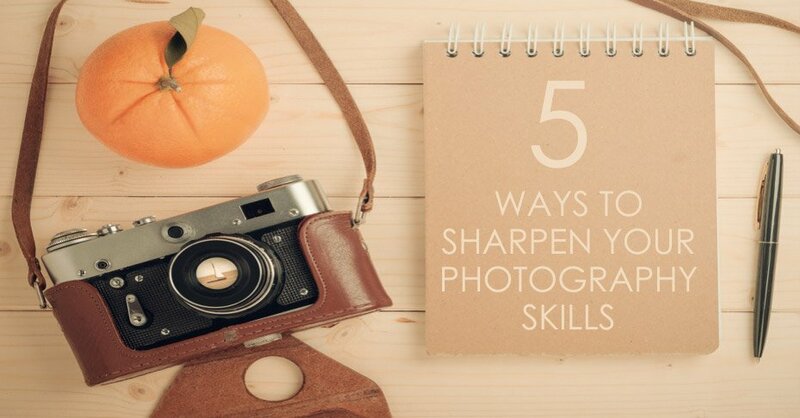 So, the more pictures you take, the more chances you have for honing your photography skills. If you think that people photography might be an area that will develop your skills, focus on people in your practice work. Most people love to be photographed, but be up front before photographing strangers, few if any will object if they are involved in something public. If you think that you have a special skill with kids and are fascinated watching a child’s expression change, or in doing family portraits, most new parents are proud of their children and can’t get enough pictures. They will quickly welcome someone who will give them unique images of their new child. It is the ideal location for anyone who has become bored with those everyday subjects or has run out of ideas about what to shoot. Armed with your camera, walk along a busy street or go to a flea market. You will find hundreds of items on display along with vendors doing their thing. Each one will inspire you to take more photographs and as you take multiple images of the subject, your focus and interpretive skills will develop and improve. Whatever your interest, it will appear in the pictures you take. But just like every other profession, photographers need inspiration and motivation in order to not only learn their craft, but to reliably produce near perfect results.